The London Wooden Platform Bed Frame is the ultimate blend between elegance and practicality and is the centrepiece of our luxurious London-themed bed collection. It’s a classic British platform bed design and a great addition to any bedroom. It’s a high-quality choice for anybody looking to bring an air of class and finesse to their home. 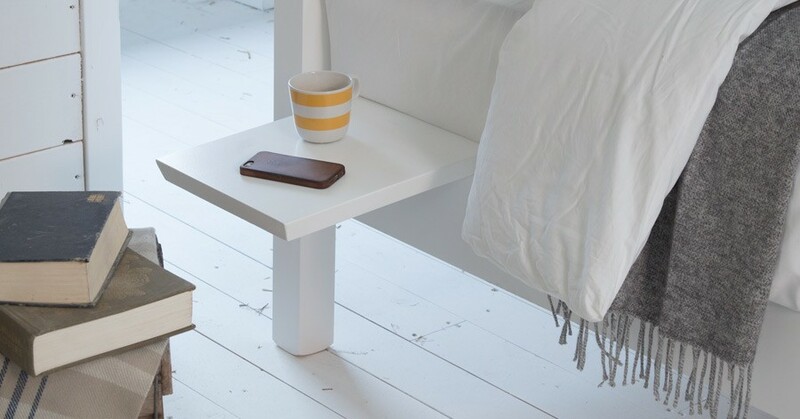 The handmade London Wooden Bed was created to give off a traditional and luxurious urban feel. We can offer the London Platform Bed Frame in a variety of finishes which go perfectly with the Solid Scandinavian Pine, of which the Coffee Bean Satin stain finish has proven particularly popular with our customers, as has our Solid Oak Hardwood finish. 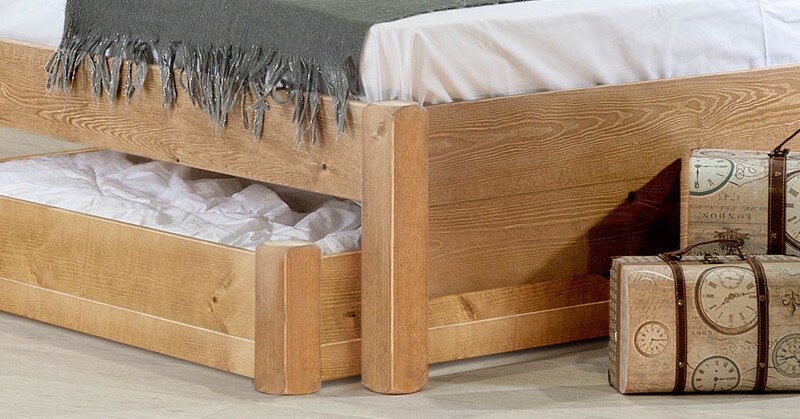 Our handmade wooden London Bed frame is part of our standard height wooden bed frame collection. This provides you with room underneath the platform bed frame design that is suitable for any underbed storage boxes you may need. This makes the London Bed perfect for our customers who are seeking a bed which makes their bedroom appear more spacious, while maximising the available space in their bedroom. Like all other beds in our standard height bed range, when it comes to finding a way to increase the space in your bedroom, the wooden London Bed frame provides the perfect solution. The handmade wooden London Bed frame features a wider foot board in comparison to our other bed frames in our wooden bed range. This in combination with a solid headboard supplies additional comfort and support making the London Bed ideal for a master bedroom. For these reasons it has become a very popular choice for customers requiring a high quality bed, fit for any purpose and designed to stand the test of time. 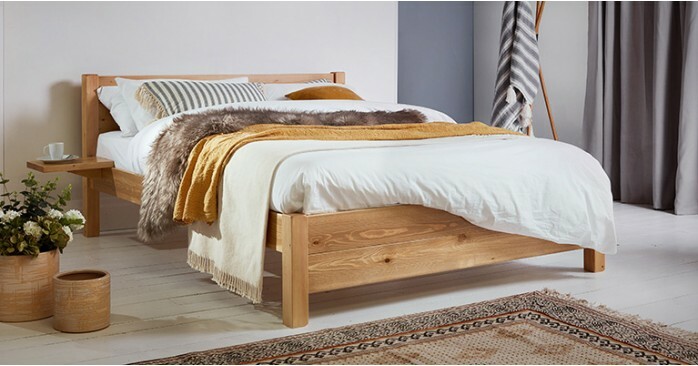 The wooden London Bed frame is typically made from Solid Scandinavian Pine and carefully handmade here in the heart of the UK by our own skilled and experienced carpenters. We're so confident in the quality of our skilled craftsmanship, we offer an 11 year guarantee on all our wooden bed frames as standard. The London Wooden Bed frame is available in all sizes ranging from a Single all the way through to a Super Caesar, an enormous 9ft bed of our own design. Once you’ve selected the London Platform Bed Frame design, we have the option of choosing any colour you would like from a variety of wood stains, and are then finished with a clear satin to protect the wood. All our wooden beds are expertly handmade to order. So whether you require an alteration to the size or to tinker with the London Bed design, the bespoke nature of our manufacturing facility enables us to customise your bed and tailor make it to your exact needs. The London Bed frame was an inspiration for our other wooden bed frames, and these are similar themed designs that have unique properties to help with your selection. If you’re looking for a space saving design with the exclusion of the headboard, consider our Wooden Platform Bed (No Headboard) or the low profile and contemporary design of the Low Platform Bed (No Headboard). Alternatively, for a supportive smooth sloped headboard at a standard-height, the Kensington Bed Frame is another great bed frame to consider for its traditional design and grand appearance. 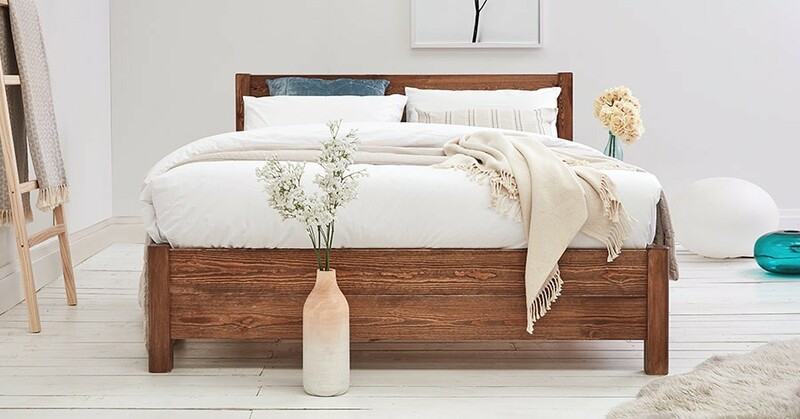 These wooden beds have a unique style of their own, but all boast carefully constructed bed designs and footboard support and comfort, and these qualities is what truly makes our beds stand out. 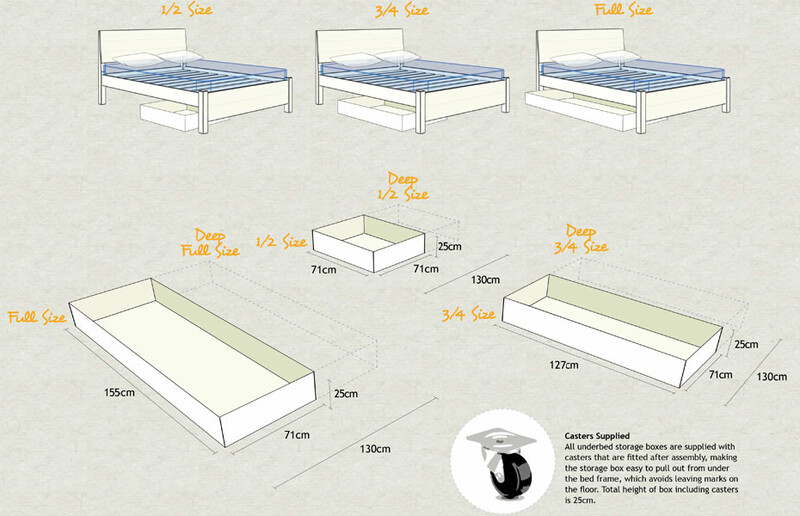 Please note mattress, bedding and underbed storage boxes are not included with the London Platform Bed Frame. These can be purchased separately.